Throughout the warm months, bicycle clubs, charities, and organizations conduct a large number of organized bike rides throughout the state. Many of the rides are single-day, on a weekend, on relatively quiet rural roads, with a variety of mileage options. Some rides attract dozens, many others bring in hundreds, and a few range from 1,000 to 20,000 riders! For cyclists ready to try more road riding, consider participating in one of these rides – the “safety in numbers” can give you experience to increase your confidence. Organized rides are also a great way to explore and experience riding in a different part of the state! 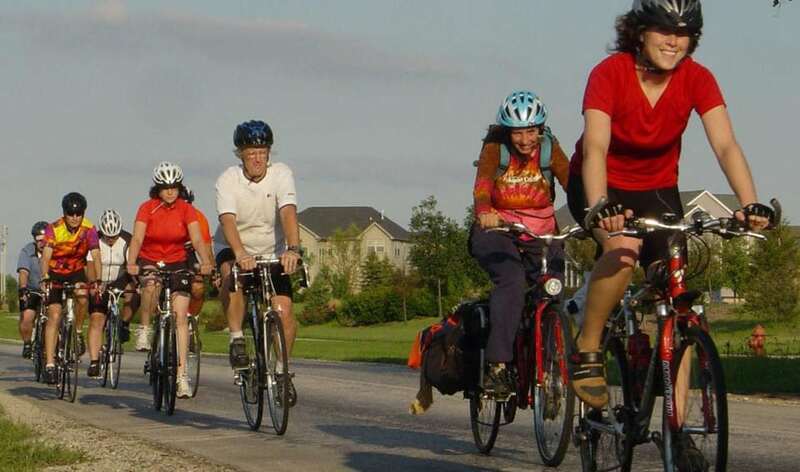 Ride Illinois helps to promote the organized rides of our affiliated bike clubs and supporting organizations through our annual bike ride mailing. For the past 18 years, every March, Ride Illinois members and thousands of affiliated bike club members receive a mailing with information on invitational rides in the mail. We are excited to announce that for 2019, Ride Illinois will be switching to a “keeper” magazine for mat, filled with details and registration info on participating rides. 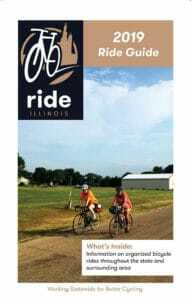 Instead of separate brochures, participating rides will have a page in our magazine of bike rides in and near Illinois. Interested in receiving the mailing? Become a member of Ride Illinois. Are you a coordinator of an organized bike ride and want to be included in our annual mailing or ride calendar below? Learn more about becoming an affiliated bike club or contact Communications and Projects Coordinator Gina Kenny at gina@rideillinois.org. The following listing details 2019 rides hosted by Ride Illinois-affiliated bike clubs and organizations as well as rides in the 2019 Ride Illinois Ride Guide.